Welcome to Fabulosity Within Reach!! We decided to start a blog about fashion, make-up, hair, skin care, travel and food. It's all the things we love, and we hope you enjoy our posts and share your thoughts and comments, as well! For our inaugural post, we would like to share with you our favorite make-up items, which we've established through much trial and error. Not only are these items effective, they are compact and easy to carry around, which is necessary for working women who are constantly on-the-go. The Smashbox Makeup Primer is our favorite primer, as it is very soft, glides onto skin easily, and doesn't feel like another layer of cream on top of moisturizer. It also tones down redness. The only downside is that it's expensive for a primer, and it doesn't last long even though the bottle appears to be big. The By Terry Light Expert foundation comes with a brush, so you don't have to mess up your fingers. It blends very well, and it's light on skin, so you don't feel like you just put on a thick layer of liquid foundation. The best part is that it doesn't drip or leave foundation marks anywhere like bottled foundations do, so it can be taken with you anywhere. This beats all foundations, regarding convenience and cleanliness. YSL Blush Radiance - This is the perfect blush that will go with any makeup style and any occassion. I just love the color on the cheek. Everyone loves the Nars blush, but this is far better. It's expensive, but you will get good use out of it! 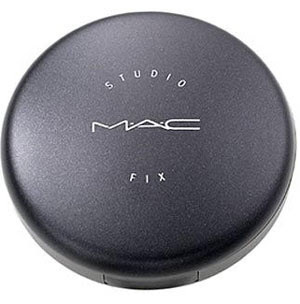 We love this Mac Studio Fix pressed powder. It provides great, light coverage and is great to bring anywhere for touch ups. It comes with a nice sponge under the compact, so it keeps clean and you don't need to bring a brush with you anywhere. You can get it discounted at the Estee Lauder Company Store. Bobbi Brown Face Touch Up Stick - This is a great concealer for anything on your face. It works really well for covering up dark circles under the eye. It goes on smoothly and doesn't dry skin. There's a reason why this concealer won a few beauty awards in its category. We found this stick discounted in the Estee Lauder Company Store. We try to buy make-up on discount when Sephora has Friends & Family 20% off. Also, Beauty.com frequently has promotions for 20% off, and beauty events at department stores give discounts or free gifts with purchase. We also buy a lot of Mac and Bobbi Brown products at the Estee Lauder Company Store, which is located in midtown and downtown (NYC). We go to the downtown store at 100 Church Street, as we have entry privileges with our work. Please feel free to share your favorites with us!! Thank you for visiting! Feeling lucky to be your first fan!!! Love your post already, keep it up, you are doing a great job!!!! I love Smashbox's Primer too, but because its so expensive and the bottle is so little.. I use it sparingly. For everyday use, The Body Shop's Vitamin C serum is a perfect primer and so much healthier for your skin. I'm going to check out the YSL blush, the color looks pretty! great post ! can't wait to see what you have for eyes & lips - i definitely need recommendations for both!